LIMITED TO 300 COPIES! NOW SHIPPING! 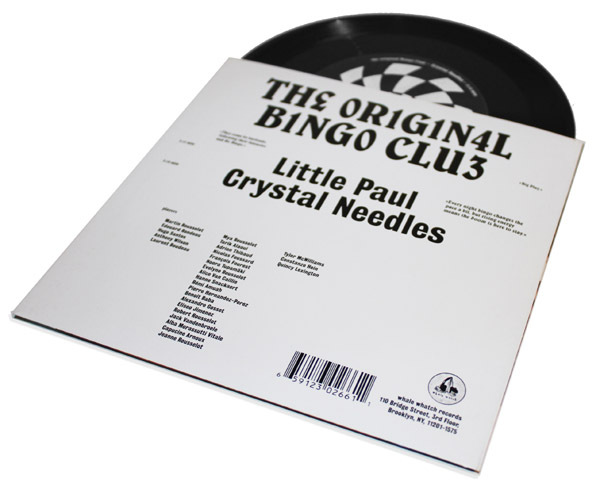 The debut single from The Original Bingo Club: "Little Paul" on Side A, "Crystal Needles" on Side B. 45rpm vinyl is packaged in full-color picture pocket sleeve with photo insert and clear polybag. The Original Bingo Club is an international collective of audiovisual artists on axis around multi-instrumentalist, songwriter, and filmmaker Martin Rousselot. 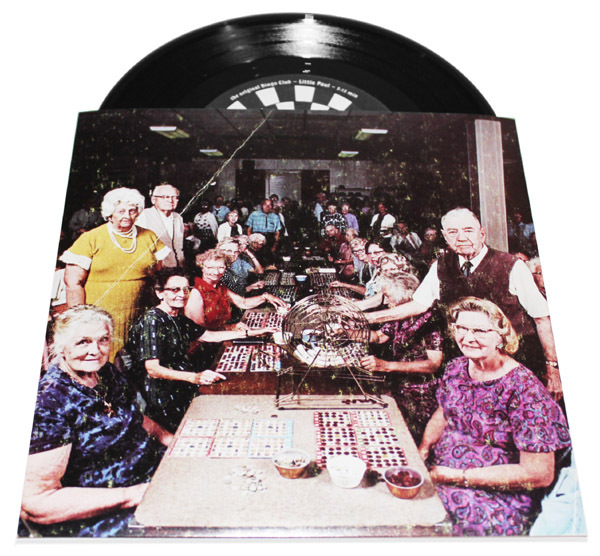 To say that The Original Bingo Club is a band or a team or a traveling circus is misleading. The constituency is always in motion, evolving to the rhythm of whatever faces, ideas, and environs surround it; if five songs throb to the clank-clank of New York trains, five more drift lazily like Marseille’s sail-spotted waves. Scattered stimuli are reduced to a molten wash of melodies and images that, whether heard or seen, conjure a setting for fond reverie and full-fledged flights of fancy. The earnest emotional atmospheres that reverberate from The Original Bingo Club are easygoing but celebratory, equally suited for a midnight peacepipe or a Coney Island carousel. Above all The Original Bingo Club is anchored in honesty, both to its respective selves and to its communal aspirations. WWR7001 (p) and (c) 2012 Whale Watch Records. All rights reserved.